Not only vampires go out at night-LUPUS patients do too! 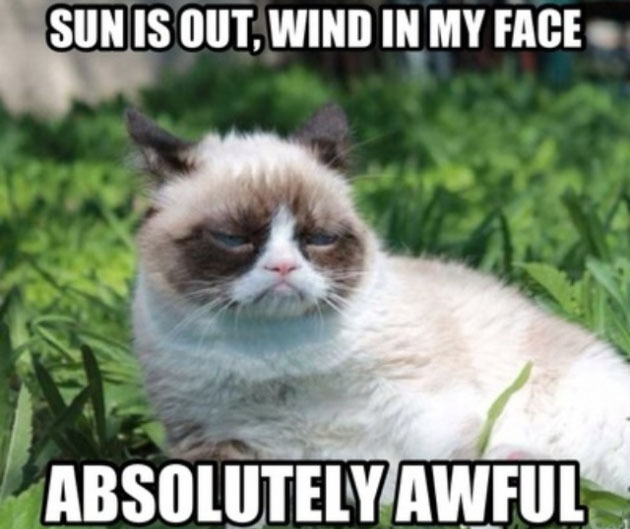 While these things are true-UV Hypersensitivity is prevalent with Systemic Lupus Erythematosus – it doesn’t have to mean ISOLATION in this day & age! With lupus, our bodies aren’t just “allergic” to itself (white blood cells attacking healthy tissue by mistake causing central nervous system damage, kidney damage, skin damage including hives, solar urticaria, discoid, pemphigoid, and cutaneous porphyria rashes, lesions & vasculitis, inflammation around the heart-pericarditis, around the lungs-pleurisy, blood disorders (clotting issues and anemia), nerve damage and a myriad of other symptoms and conditions. So what do you do? You manage. You CONFORM! 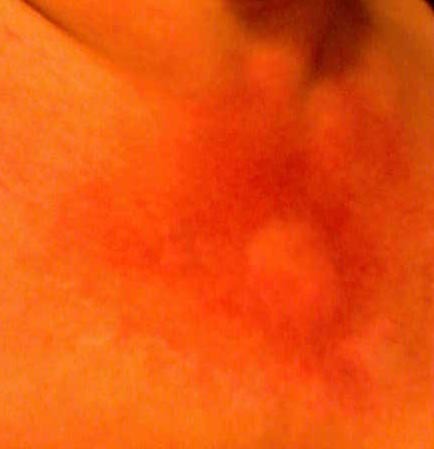 Here’s some of my rashes from UV-if you had these I’m sure you’d come to the same conclusion! That would drive ya inside-yes? LOL..And my point? It doesn’t have to BE isolating or feel isolating.. The internet has given us many advances-immediate chat, visuals like skype, and the ability to find info, give info, and reach out without having to take one step outside into that debilitating sun. I can watch my son’s chorus concert from bed, talk to people on the other side of the world-make appointments, talk to doctors and do relatively anything but reach out and touch someone! So isolating? No-it’s the opposite for people like me!!! It’s FREEING! And I’m thankful for it everyday! Even after a small TIA June 2012-I was relatively a “head in a bed” while I recouped…but I was happy and I was anything but bored or isolated! So again-Housebound is what you make of it! Is a wheelchair a good or a bad thing? Ask someone who is in one? It’s a great thing! It’s mobility! Just a different way-and so what! On a personal note – I enjoy watching reality shows-specifically shows about Alaska-the last frontier. Why- I wonder? Because we LUPUS patients share something with these people-we are isolated. We are literally in the dark most of the time. Plus of course-they are exciting! There’s gold miners, hunters, and people who are solely responsible for their own food and water sources-and live in the most extreme of circumstances. And they succeed. They flourish. They give us HOPE. 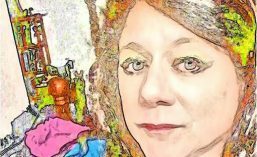 They tell us that life is precious-and to be lived- There is a woman you might have all seen-Susan Aikens on a National Geographic show called “Life Below Zero”, who owns and manages a remote fueling station near the Arctic Circle-she is alone 8 months of the year. 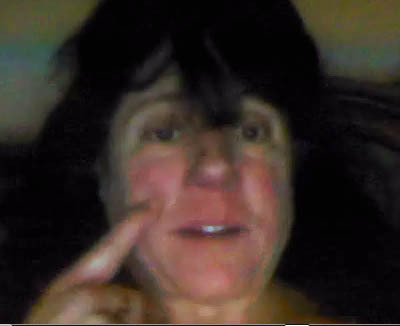 She is the strongest, toughest woman I have ever seen. She was attacked by a bear, left for dead, sewed up her own head, hunts for food and braves temperatures so freezing- she doesn’t just persevere-she flourishes. I designed the pic of Sue & Alaska to say Thank You for the Inspiration! 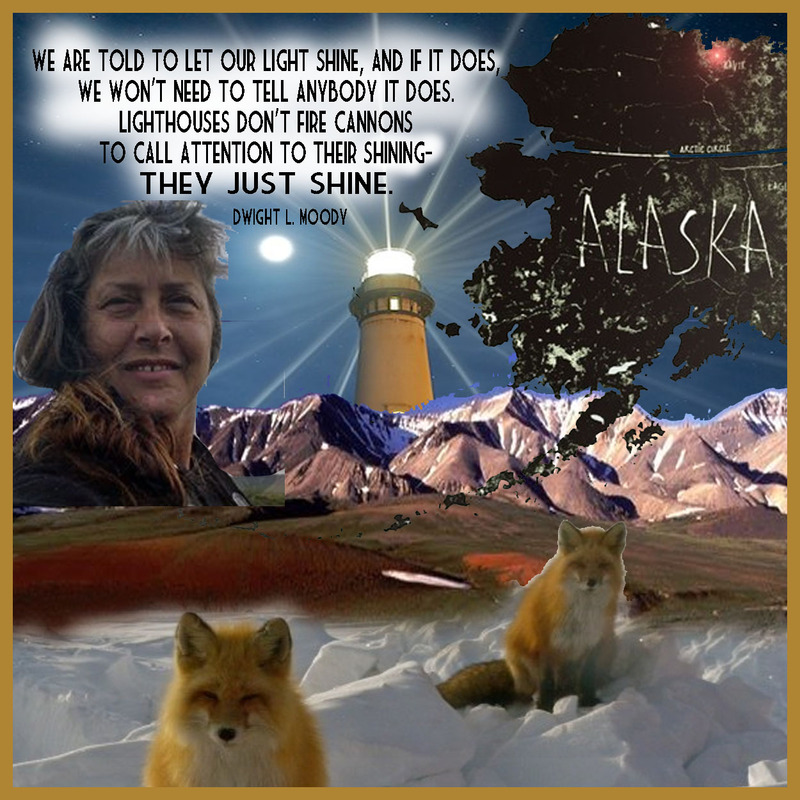 When Susan Aikens was asked why she is alright to stay out there in remote Alaska alone and be isolated so much of the year-she said it is because when she was little all she wanted to be was a lighthouse keeper. Well-she IS a lighthouse keeper. She’s a beacon of what life without fear means for those with chronic illness. She’s an inspiration. Solar urticaria (SU) is a rare condition in which exposure to ultraviolet or UV radiation, or sometimes even visible light, induces a case of urticaria or hives that can appear in both covered and uncovered areas of the skin. 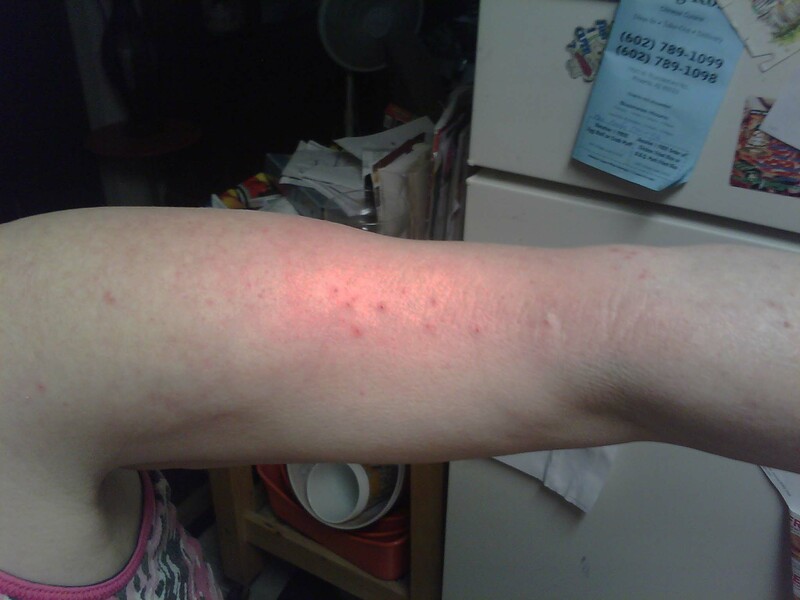 It is classified as a type of physical urticaria. The classification of disease types is somewhat controversial. One classification system distinguished various types of SU based on the wavelength of the radiation that causes the breakout; another classification system is based on the type of allergen that initiates a breakout. The agent in the human body responsible for the reaction to radiation, known as the photoallergen, has not yet been identified. The disease itself can be difficult to diagnose properly because it is so similar to other dermatological disorders, such as polymorphic light eruption or PMLE. The most helpful test is a diagnostic phototest, a specialized test which confirms the presence of an abnormal sunburn reaction. Once recognized, treatment of the disease commonly involves the administration of antihistamines, and desensitization treatments such as phototherapy. In more extreme cases, the use of immunosuppressive drugs and even plasmapheresis may be considered. The initial discovery of the disease is credited to P. Merklen in 1904, but it did not have a name until the suggestion of “solar urticaria” was given by Duke in 1923. However, their research contributed to the study of this uncommon disease. More than one hundred cases have been reported in the past century. Approximately two-thirds of people with lupus will develop some type of skin disease, called cutaneous lupus erythematosus. Skin disease in lupus can cause rashes or sores (lesions), most of which will appear on sun-exposed areas such as the face, ears, neck, arms, and legs. 40-70 percent of people with lupus will find that their disease is made worse by exposure to ultraviolet (UV) rays from sunlight or artificial light. 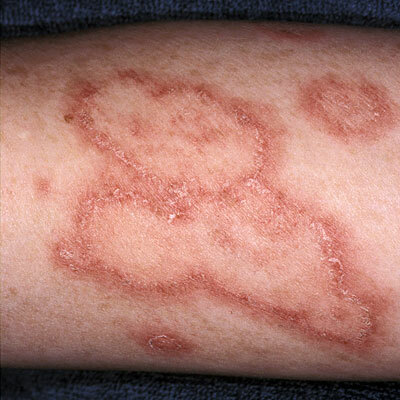 Chronic cutaneous lupus (discoid lupus) appears as disk-shaped, round lesions. The sores usually appear on the scalp and face but sometimes they will occur on other parts of the body as well. Acute cutaneous lupus lesions occur when your systemic lupus is active. 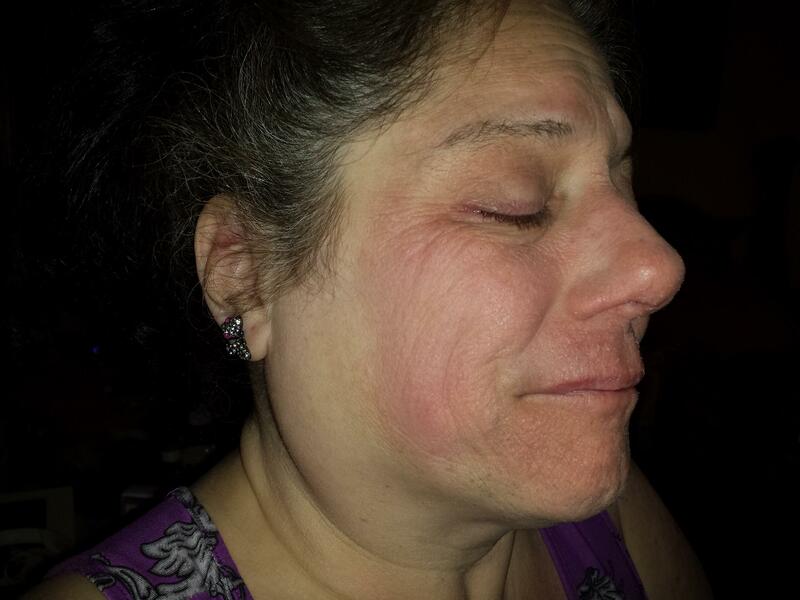 The most typical form of acute cutaneous lupus is a malar rash–flattened areas of red skin on the face that resemble a sunburn. When the rash appears on both cheeks and across the bridge of the nose in the shape of a butterfly, it is known as the “butterfly rash.” However, the rash can also appear on arms, legs, and body. 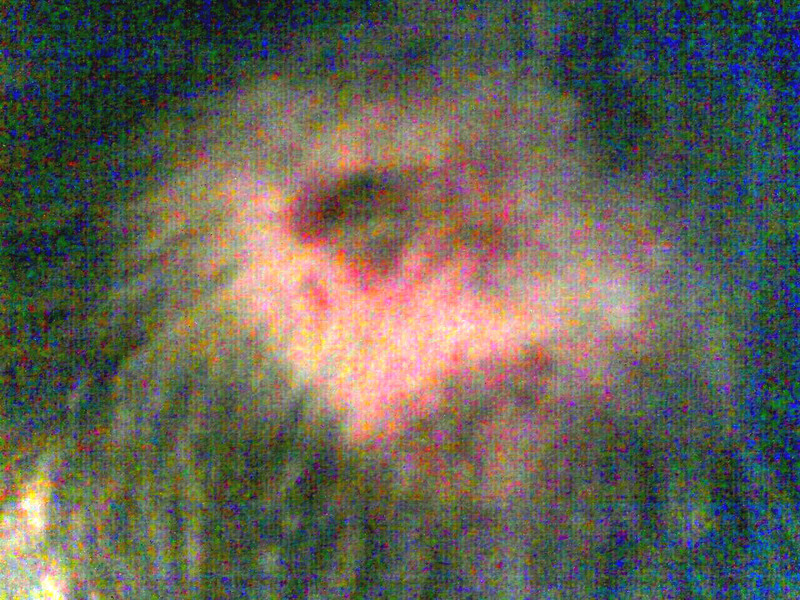 These lesions tend to be very photosensitive. They typically do not produce scarring, although changes in skin color may occur. Livedo reticularis and palmar erythema are caused by abnormal rates of blood flow through the capillaries and small arteries. A bluish, lacelike mottling will appear beneath the skin, especially on the legs, giving a “fishnet” appearance. Like Raynaud’s phenomenon, these conditions tend to be worse in cold weather. It should be noted that most of the above treatments are not approved by the Food and Drug Administration for cutaneous lupus. The Lupus Foundation of America would like to thank Richard Sontheimer, MD, for this information.